The result is clearly inspired by Japan’s preoccupation with giant monsters and hideous creatures of various descriptions, known as ‘kaiju’, and is set in six cities around said country. Each city is home to a combat arena which is… the city itself! 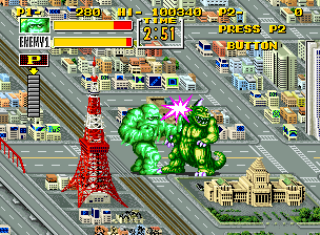 Due to the probably-radiation-assisted size of the monsters, they face off in city streets surrounded by appropriate buildings and other landmarks. Well, I’ve presumed they’re appropriate but I can’t say I’ve spent too much time in the cities in question. The action is viewed from a 3D overhead perspective meaning the monsters can move in all directions around the arenas which are encircled by an electrical barrier. Almost everything within the sizeable perimeter can be and usually is destroyed though – more often than not each city starts out all lovely and pristine and ends up looking more like a debris-strewn warzone! 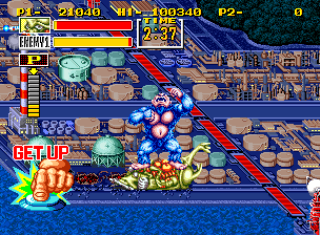 The titanic battles take the form of wrestling matches which, to quote good old Mene Gene, are ‘scheduled for one fall’ and are contested by six monsters – Geon (a Godzilla-like dinosaur), Woo (a blue King Kong-like ape), Poison Ghost (a creature made of toxic waste like Hydorah), Rocky (who is… umm… a rocky creature), Beetle Mania (a large Megalon-like beetle), and Astro Guy (a courageous Ultraman-like superhero). 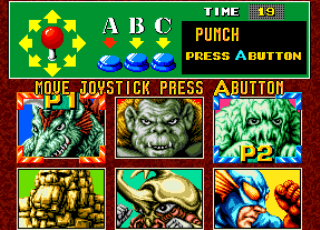 Any of them can be selected and all are fought twice (including your own character) before the game is finished. Their repertoire of moves doesn’t vary much from one to another, although they do have special moves of course, and they’re also taken from the world of wrestling which means many suplexes, throws, gorilla presses, DDT’s, pile-drivers, and some close-quarters grappling and even biting! It’s possible to pin your opponent (in some humiliating ways, obviously – see blue ape oaf below) any time you knock them down but it’s probably best to beat the crap out of them sufficiently first. If they’re weak enough, your ‘cover’ may result in a three-count and victory. And that’s pretty much it! 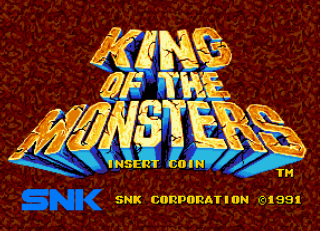 One-on-one fighting games have become rather convoluted in recent years in my opinion but King of the Monsters is the opposite. Is that a good thing? Well, it could certainly do with having a bit more to it – some additional fighters at least, and perhaps also the ability to use the surrounding buildings as weapons – but its simplicity also works in its favour in some ways. 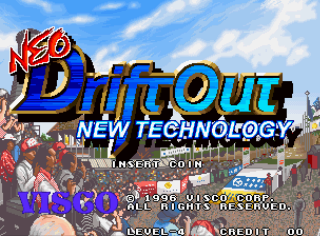 The graphics and music are quite pleasing for an early Neo Geo title too. The tunes have an air of disaster about them and the monsters all screech/roar appropriately enough. They are also just the right size have some nice animations, and the attention to detail on the cities is superb. 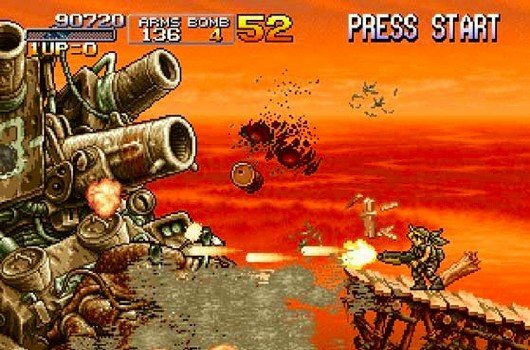 In classic B-movie style, the players are attacked by various human vehicles like tanks and boats during play and these can be picked up and thrown. Control of your chosen monster seems pretty good for the most part. Each has two attack buttons and a run button, although it often seems a bit hit and miss as to whether a strike/move is effective or not, but each one needs to count as your character is not restored to full power for the next match which can mean a very rapid defeat. And therein lies both the appeal and problem with King of the Monsters. It’s simple, even for a fighting game, and is very much an arcade game in the traditional sense – it provides a lot of fun and laughs in five or ten minute bursts but little beyond that. 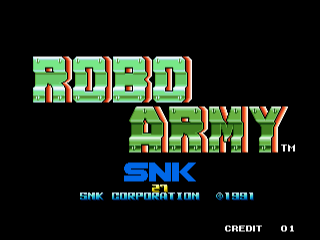 That’s to be expected of an arcade game but the Neo Geo home versions haven’t been enhanced in any way and the MegaDrive and SNES conversions even lose two characters! 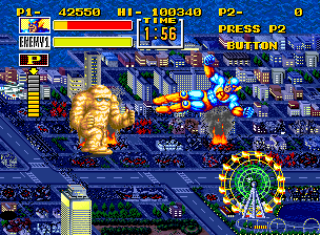 It certainly is an appealing game though, initially at least, and that appeal is heightened when a second player is added who, splendidly, you can choose to either fight against or alongside you against two CPU monsters! You’ll also likely find much to appreciate here if you’re a fan of the old Japanese films from which the game takes its inspiration. If giant rubbery monsters don’t do it for you though, you’ll probably lose interest fairly quickly. It’s a fantastic premise with some great ideas and there are few fighting games like it, I just wish there was a bit more to it.